It is hard to tell, but the snow was still falling when I took this image, allowing us, as my friend Jim over at Poetry in Motion said, to walk on virgin earth. As I write this post, quickly before leaving for work, I am pondering if after 4 1/2 years it is time to freshen up my blog. I’ve not changed a thing since I first stepped onto the virgin earth of this blog space. Perhaps it is time. If it had been summer, I would have walked right into the river to better capture the late day sun adding light to the trees futher down the way. Even still, it was a lovely site to see from this park called Riverview. is worth having the “opportunity” to do this once the storm has passed and the snow has begun to melt. I’m a day late for the Valentines Day love, but I’m right on time for the snow love. Southwest Virginia is in the midst of another winter storm. So far, we’ve got 6 inches of unexpected snow, which is soon to be followed by an inch of ice, and I am missing the Equal Rights Amendment Rally at the State Capital. Did you realize that the ERA has STILL NOT, 100 years later, been ratified? I’m bummed about that and about missing the rally. In an effort to keep a positive attitude, I decided to show the snow in a different way. How ’bout a little Through the Screen photography? Or even some Screen Art? or the abstract Snow on Leaves? As it is where many of you live, it’s a wee bit chilly here in Southwest Virginia. The subfreezing temps with furiously whipping wind, provide the perfect excuse to stay inside, work on photography, catch up on my own blog, and with yours, too. 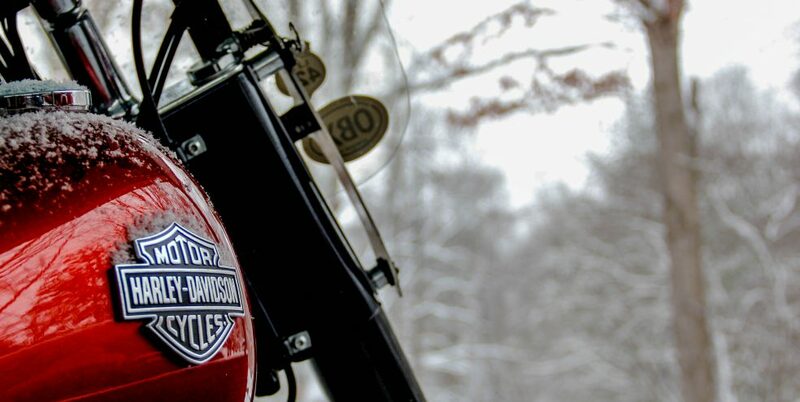 Sadly, the bike sits outside in the cold, waiting for the temperatures to rise. Yesterday morning, instead of being in my office at 8:15, I had a meeting at Radford’s new locally owned coffee shop. Radford Coffee Company is located in an historic building, recently renovated by a favorite local developer, Joe Fortier. The Company gives its profits to help in the education of over 1200 students in 14 communities along the Rio Coco, the river that is the boundary line between Nicaragua and Honduras. The details of the renovation and the warmth inside the shop allow patrons to forget the chill for a little while. The furniture and decorations include a curved church pew and a Whizzer Motorbike. And on this particular day, a Radford mentoring program called CAMP was holding a fundraiser. CAMP “offers a chance for Radford’s kids to explore their community and to discover how many opportunities are out there just waiting for them”. Soon enough, though, it was time to head to the office. With the warmth to sustain me, I stopped to take a shot of the cold, beautiful sky. And at the end of the day? An opportunity to warm up with a little single malt scotch and time with a friend.